Acupuncture That Works Cheshire › Archive by Category "FAQs"
Acupuncture can be a great alternative therapy, for a range of conditions and naturally, anyone who is new to acupuncture, will have a myriad of questions about how it works. Here are some of the most frequently asked questions regarding acupuncture. 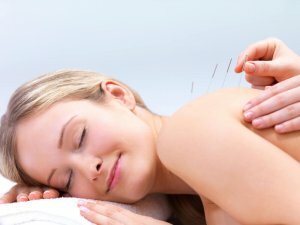 Acupuncture is an ancient Chinese technique which works on the basis of energy. The Chinese believe that all living things have energy, which is often referred to as Qi. The energy flows through different channels which is related or associated to different parts of the body. These channels can become blocked in the event of illness, and the acupuncture points on the body, can then be utilised with the use of needles to increase the cycle of energy for the relevant area. Each acupuncture point is different – from helping with congestion to sprains, acupuncture covers a wide ranging list of diseases and ailments. This is probably one of the most common questions with regard to acupuncture, which is hardly surprising given the use of needles in this highly effective, ancient Chinese treatment. However, this is not like sticking an everyday needle into the body and most people don’t feel anything. Some report a slight tingle or ache, which is said to be a ‘Qi’ sensation. Side effects are rarely reported and those that have reported side effects say they were due to slight bruising from a needle. Side effects are extremely rare. How Often Do I Need to Attend Treatment? It all depends on the nature of your ailments. Treatment usually stops when the ailment has been cured, however, more serious illnesses may need a programme of treatments to either cure, or. if non-curable, to stop the worsening of symptoms. Many people like to attend a ‘tune up” which can help prevent common ailments. If you have any burning questions about acupuncture and would like to know more, please contact us now on 0800 051 76 88 or fill out our contact form.